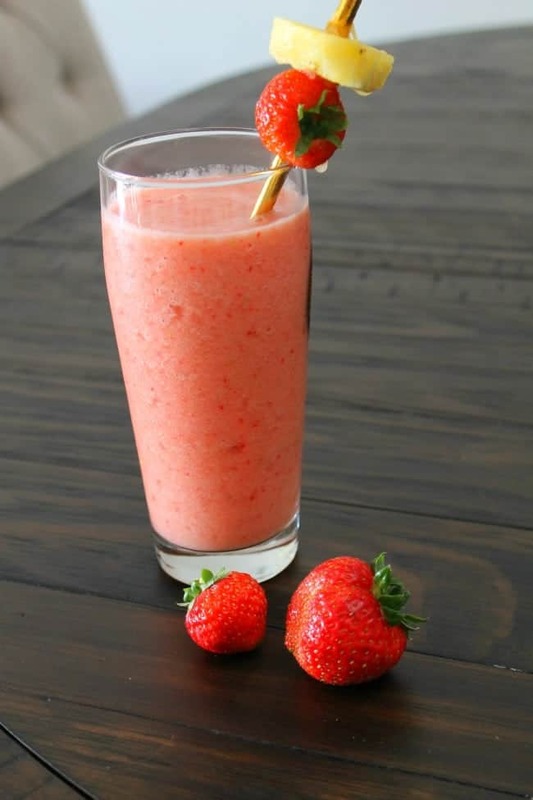 A lovely Strawberry Pineapple Smoothie recipe that is made without yogurt. Good Morning! I am enjoying a morning in my robe and sometimes, it just feels good to do that. Weekend are just so wonderful, aren’t they? I am focusing on eating healthy this year so this morning I am changing it up with a breakfast smoothie. So much flavor and you can make it in minutes! I am a big fan of smoothies as a meal or a snack. They are a great way to get your fruits and vegetables in a flavor-packed drink and they taste great! 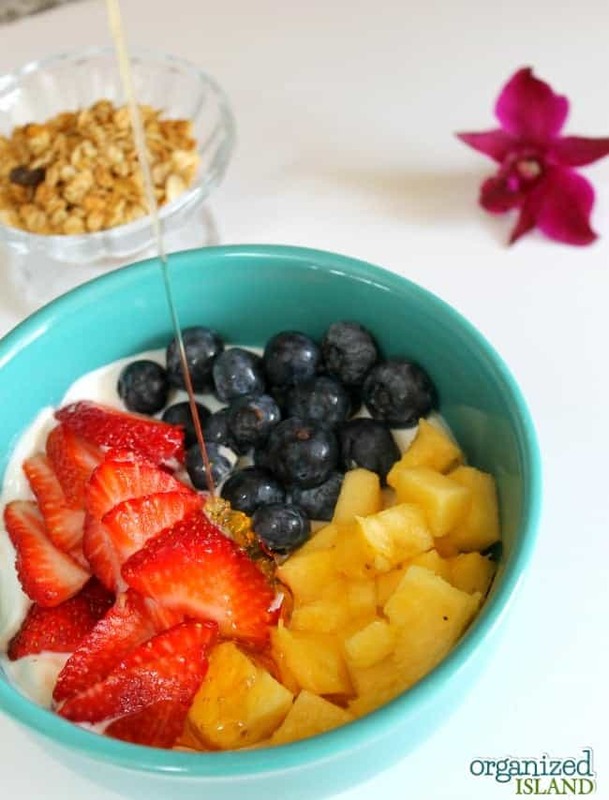 They also are great to make for on the go, or when you need a quick start to the day. 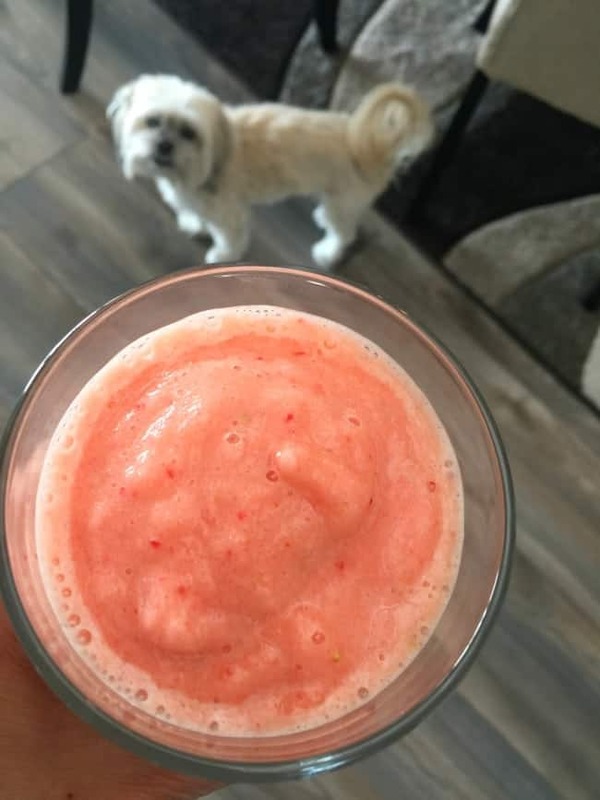 This Strawberry Pineapple Smoothie Recipe is one of my favorite blends and I am sharing the easy recipe today. I enjoyed mine this weekend while working on my goals for the year. 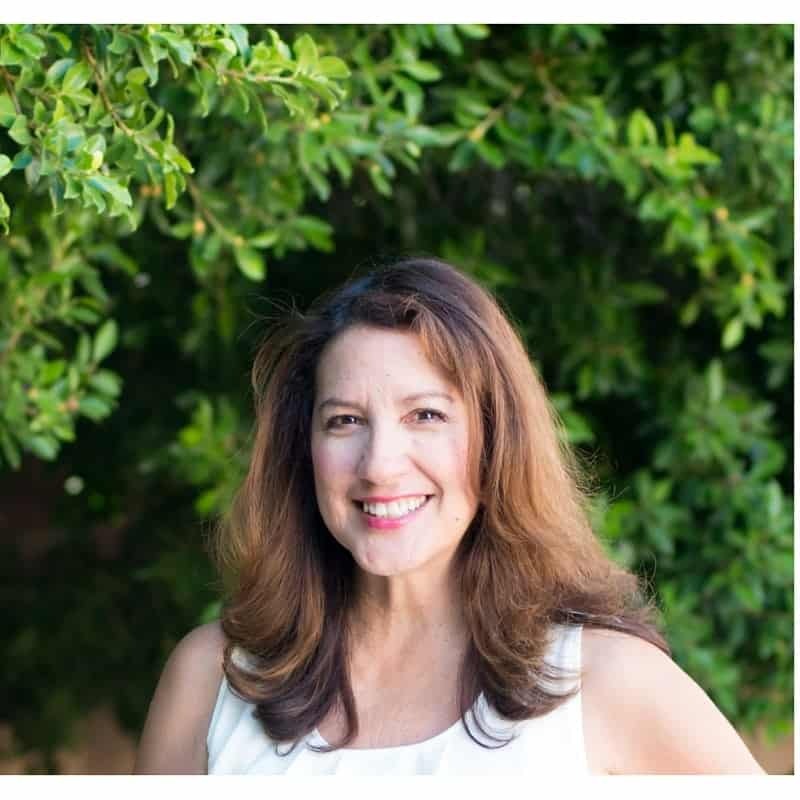 I just love the fresh start that comes with a new year and after the holiday break, I really do feel energized and refreshed. Of course, that feeling doesn’t always last long, but so far, so good. 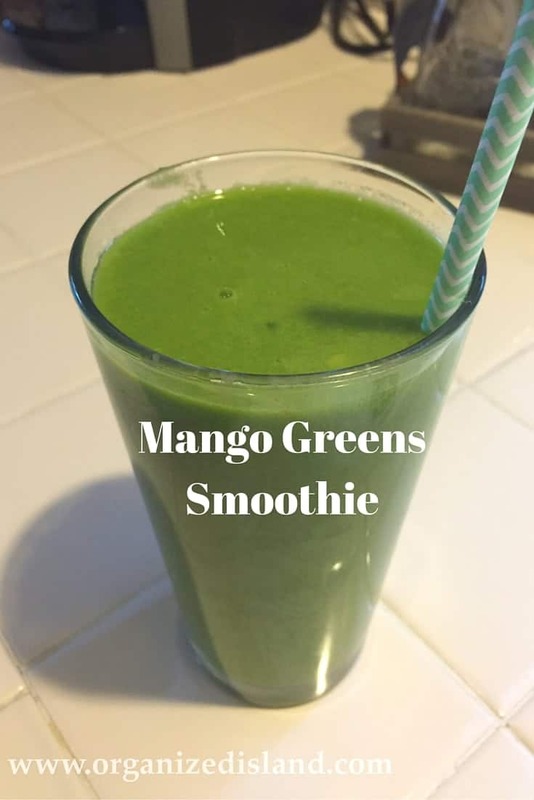 One of my goals is to lose a few pounds so this smoothie is meant to replace some of those breakfasts.If you love smoothies that actually taste a bit sweet (but not too sweet) and fruity, you will love this recipe. It is also a vegan Pineapple smoothie since there is no yogurt in it. 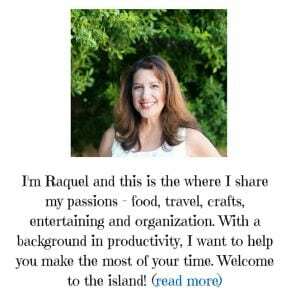 If you have a few minutes and have not already done so, would you help me out by completing this 10 question reader survey? By completing it you will be entered for a chance to win a $50 Amazon gift card! 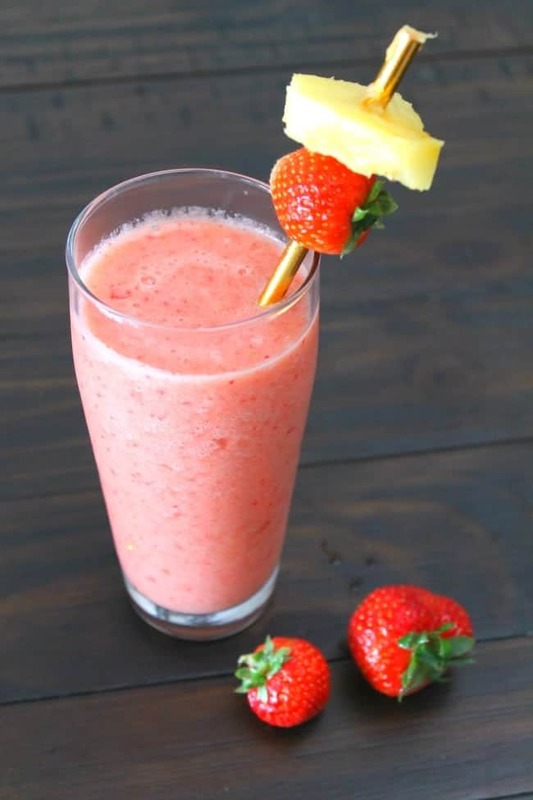 Place ice, pineapple and strawberries in blender. Blend about 30 seconds at high speed. Pour into glasses and enjoy! Serves 2. Pineapples are magical fruit. And I prefer smoothies to have bits of fruit in them. I think the lack of yogurt is a benefit. So refreshing! Makes me want to be somewhere warm and sunny.. so soon.. So true! 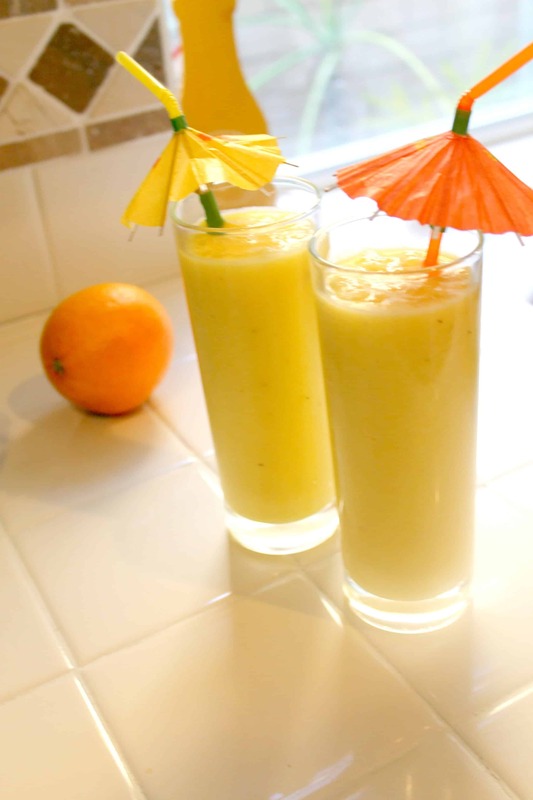 It’s like summer in a glass, even when it is rainy out. 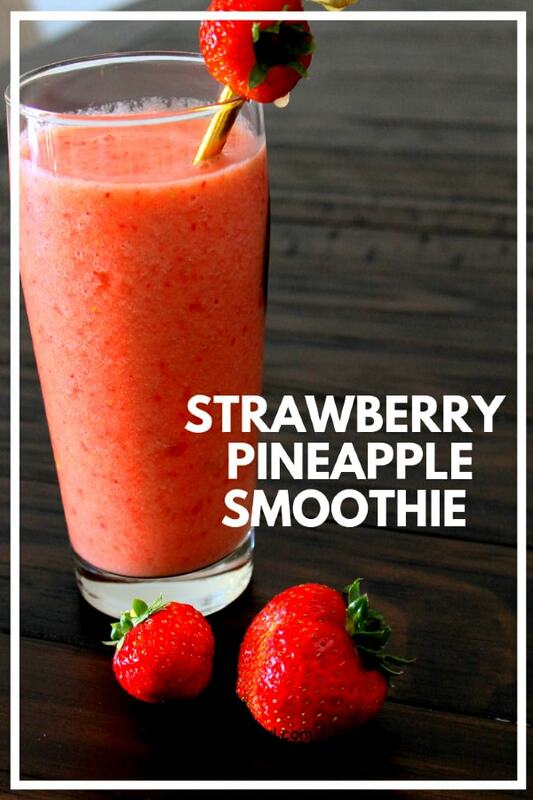 Strawberry and pineapple sound so good together!